Ensure that all your summer promotions are a success by livening up your store thanks to these 12 ready-to-use designs that have been translated into 8 languages! In this pack, find everything you need for your sales, Euro 2016, Back to School season, summer and for all general promotions in your store. The visuals are provided in .psd (to customize the text and promotion dates) and .png formats for the slideshow and product box on the homepage of your PrestaShop store. 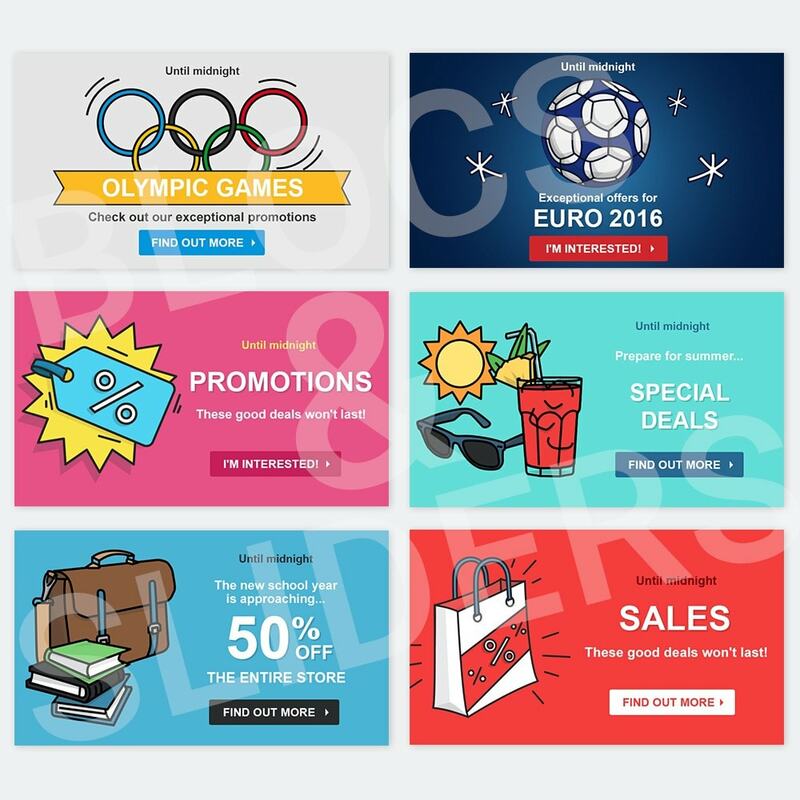 Includes 6 graphics for the slideshow and 6 for the product blocks on the homepage of your PrestaShop store for: sales, Euro 2016, Back to School season, summer and for all general promotions in your store. 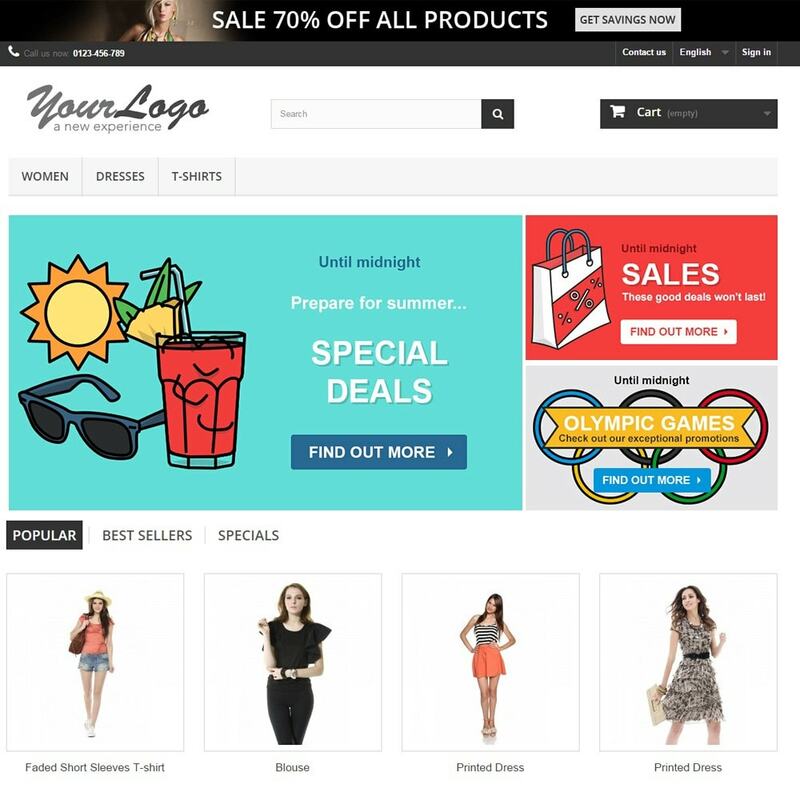 The graphics included are ideally suited to the 1.6 default theme of PrestaShop, and to most of the available themes in PrestaShop Addons. If you use another theme, simply crop the advertising boxes and images in this pack.